Welcome! Thank you for reaching out to our community! How did you hear about us? As a staff member, I approve your post and welcome you to stop by any time to give us Mafia community news. For anyone interested, the Garven Dreis and Zal Dinnes pilot helmets are back in stock over at Firestar. I bought the weird looking one last week. It's a massively modified standard TIE. I like it on-screen, but the model...if it weren't a TIE, i wouldn't have bought it. It more looks like a modified TIE Striker to me. Thanks! This is a very exciting project to be working on! That must be an artifact of translation. Remember, the description came from a French web site. I don't know French, but in Spanish the word juego refers both to a "game," as in a "game of soccer," and to a "set," as in a "set of tools," etc. I imagine the French product description uses a similar word to juego. Ah good point. I really hope you are right... But yah this giveaway is quite disappointing just like the previous couple years. I'm gona have to ask my friend if he knows if there is any more surprises coming out for May the 4th weekend. Strange how they keep referring to it as a building game. Well images and description now confirm that red Ice Samurai is General Vex and white one is Forsaken Emperor. Hi everyone! I am very sorry that progress has been so slow on the instructions but to assure you that I am still intending to finish them, here's a little update on what I'm up to right now: I have finished the instructions for the main body of the ship right back to the fins that connect it to the engine block. I am now splitting the digital model of the engine block into sections for the instructions since Blueprint can't handle the file for the whole thing.. I hope to get the engine block finished in the next couple of weeks so that the only things left to do then are checking the instructions for inconsistencies and mistakes and figuring out the (digital) logistics of selling them. I really appreciate how many people are so intent on building my model for themselves and really don't want to disappoint you guys. That being said the process of making these instructions is quite tedious and this is the first project (except the AT-RT :D) that I have made proper instructions for. I hope you'll stick with me and I'll do my best to speed up work a bit! As for some stats about the build: Parts count: 5701 (to be checked once the instructions are finished) Estimated parts-cost according to BrickLink: ~450€ (as of March 2019) Thanks again for your patience and stay tuned for further updates on my progress! Thank you! I must say that I had hoped to be able to steal a lot of ideas from your fantastic model but the difference in scale really made that impossible.. :D That's what I had feared... I had seen some sources where it was 126m long and others that said 150.. As 126 happened to fit the scale I was building at very well I decided to go for that. Well, I guess it's not perfectly 1/3 minifig scale then but who really cares anyway.. :P Thanks for the information though, the inconsistency of sources really bugged me when I was building this! Seems to be a new type of a free-rolling wheel with side details. I think there are 2 of the same, each on one side, using 3 pins to attach to the tyre. As it should be. See my earlier comment. Btw, I've been staring at Lloyds mech for some time and it seems like it could have bending knees, with two pairs of the 'super rigeted' Technic joints. Would they actually, finally, do that again?? For the EB contest Benny's Spaceships Building Academy in the Sci-Fi forum I designed this Locomotive. And I don’t want fellow train lovers to miss out on it. I will post just two pictures here but you can read the full description and see more pictures of it in the Sci-Fi forum. But it kind of looked naked without the wagons, so I built them as wheel. Nothing fancy, I just threw a bunch of bricks together and ended up with something… well something. It’s different and a bit weird. I designed the locomotive for this kind of wagons, with this kind of attaching. Check it out. The battery is disguised as cargo and it’s powering the bogie (train motor) in front of it, which in turn pushes the locomotive. The second wagon is transporting power cells which are used to power the locomotive. All the turrets can rotate and provide the train with necessary protection from raiders. 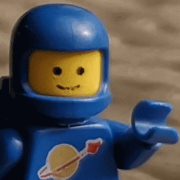 The minifigs are Benny’s space crew. Here are the digital files: Benny's Train.LXF, Benny's Train.IO. When this contest was announced, and one of the rules said “Digital entries are accepted”, I was happy as Benny. From the get-go I knew what MOC I wanted to build and pretty much stick with the first rule of the contest; “have fun!”. So let me first present the MOC and we will get to Bennyfying it later on. 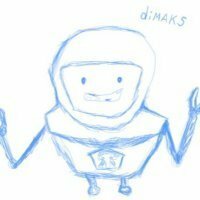 I had an idea in my mind, I started designing it right away, from the first day of contest. But this MOC was stubborn and it just didn’t want to be put together. I didn’t have a lot of free time at the beginning (maybe 2-3 hours per day at the most), plus for every detail I’ve made like 10-20 iterations of it until I was satisfied with the final solution. That’s why it took me all this time to finish it. I will post some of the pictures here but there are boat-load of them on my Bricksafe page. And the LXF and IO files as well. Please check them out. If I put them all here, the post will be two pages long. Let’s get to it. I wanted something different than just your average everyday locomotive. It certainly looks different. With an open central portion, and the LBG circle in the back where the wagons are attached. I’ve actually made the whole train but it’s irrelevant for this contest (although you can check it out in Train Tech forum). The side panels can be open to allow easy access to the wheels. Let’s check out what’s hiding underneath them. I bet that it’s not what you’ve expected. No bogies. Just 0-6-0 configuration. What’s that green cylinder you ask? It’s a nuclear power cell! 4 red uranium rods enclosed in a coolant, provide abundance of power needed for… stuff (we’ll discuss it later). The bottom view of the locomotive. You see those tan bevel gears… they turn the neon green cylinder through a simple gearing system. Speaking of… Yeah, the cabin lifts up! What-up! We can see Benny here enjoying the cruise through the white rendered plains. There is a full cockpit with loads of buttons for Benny to push when he gets board. Those white doors are the service access to the gearing system mentioned earlier. That’s it for the locomotive. So, finally we got to the SPACESHIP, SPACESHIP, SPACESHIP! The Bennyfying process of turning the locomotive into a spaceship didn’t go smooth at all. It fought me every step of the way. Like I said before it just didn’t want to be put together. At this point I got my free time back (which was last week), and it was a sprint race towards the end. I had whole days at my disposal and I just stuck with it. Again, every detail had to be made over and over and over again. In the end I am really really happy with the end result. Let’s see how Benny (through me) turned this locomotive into a beautiful and wicked flying machine. I kept the general shape of the locomotive and added thrusters (I like to call them boosters), some guns, and closed the central portion. From behind you can see the residual thrust coming from boosters when in flight (one more time, there are more picture available on my Bricksafe page, from more angles). Also every booster has its own grilled intake for keeping cool and not to overheat. Let’s check out the flight capabilities and maneuverability. So the most outer boosters can rotate for excellent in-flight control. All the guns can shoot in every direction, which is pretty good defense and offence system. Three main big booster are perfect for a quick getaway or a trip around the galaxy. It was a real pain in the rear to make all the booster look like they do as a whole, to make them fit properly without compromising a lot. I lost 4 days just getting this right. And then 2 more to incorporate them into “wings”. That part was not possible. So I incorporated “wing” into boosters. All the connection there are held with pins and technic bricks. There are additional lights and lasers to cope with the dark space. From bellow you can see mini boosters which help a little bit with maneuverability and take off from the ground, and folded landing gear. Now, let’s ground this bad boy for a closer inspection. Benny wants to show us something. We should turn the trust off, we don’t want Benny to get fried, don’t we? So the cockpit is the same as in the Locomotive, there are no changes there. Here you can see unfolded landing gear. That’s the max openable position, it’s hitting the bit of the wing which doesn’t allow it to go further, which is a good thing. The rear landing gear is constricted by the booster. Those DBG skies fold inside of the angular technic panels. What’s Benny showing us here is how well is the nuclear power cell protected. Its power is much needed to power all the boosters. 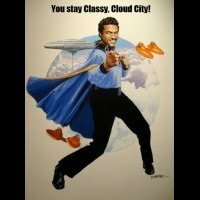 So that Benny can glide through the galaxy non-stop. With openable laser resistant panels for easy access. “Let me just tighten this bolt here…” Here is Benny maintaining his spaceship. The black bits are afterburners which also serves as air brakes (air brakes, not space brakes). “All looks good from down here.” The height on which spaceship seats when grounded is perfect for Benny to crawl underneath and check a few things. In the end what to say. I built it in LDD, used Studio for render (which took a whole day yesterday), I paid attention to connections, so that everything is buildable and it won’t fall apart (but that’s for the judges to decide). All the parts and the colors are correct, there are no errors of this kind. Here are the digital files: Benny's Spaceship.LXF, Benny's Spaceship.IO, Benny's Train.LXF, Benny's Train.IO. This was a mighty endeavor. Was it fun? It was for the most part of it. It certainly took a long time but I am really happy with the result. I hope that you will like it as well. That’s all folks! I've been fiddling with pneumatic engines for a while now and started to want to push my engine to its possible limits. I'll be running it at higher PSI ratings, my goal is at least 60 PSI, so I'll need to upgrade the tubing (I'm using cheap silicone tubing for the time being). I've seen rigid tubing before in builds such as LPEpower's V8 http://www.lpepower.com/products/pushrod-v8-engine. Does anyone by any chance know where to purchase rigid pneumatic tubing? Description says that's a wolf after all. Nice one! Using the tracks to build spaceship engines is a cool idea.